For whatever reason, you may want to change the appearance of your teeth in which case, veneers may be the long-lasting solution for you. A tooth dental veneer is a thin facing that is bonded to the surface of your teeth to recreate the desire look. What kind of Dental Veneer material should I choose? 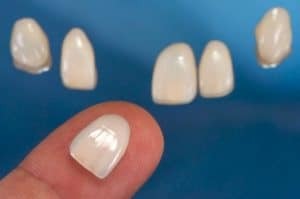 At Sydney Dental Crowns our Dental Veneers are either made with composite resin or high strength porcelain. 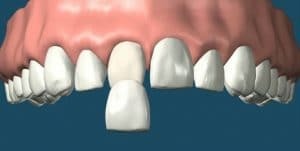 How many visits will I need for my Dental Veneers? Usually our dental veneers are done in pairs to best match the colour of mirroring teeth, and sometimes up to 8 can be placed at once to produce an even level of whiteness and tooth shape for the best looking result for your smile. At Sydney Dental Crowns we offer our veneers at an affordable cost. Our Composite veneers are approximately $349/veneer and approximately $849/ veneer for our porcelain veneers. Going towards Sydney Dental Crowns from Sydney Opera House only takes about 6 minutes to drive. Head southwest on Macquarie St and turn right to stay on Macquarie St then turn right onto Hunter St. Lastly, turn left onto Pitt St where you'll see us on the left.